We’re in business for one reason. And that’s to serve you to find the best price and quality. grab the RSS feed to stay updated. See you around! All size plants in stock…. 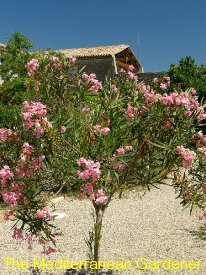 Nerium oleander, commonly known as oleander, is a large evergreen ornamental shrub that has been cultivated since ancient times. The narrowly lanceolate are leathery and dark green. They usually grow in pairs or groups of three. The stem is covered with greyish bark and exudes sticky latex if it is cut. 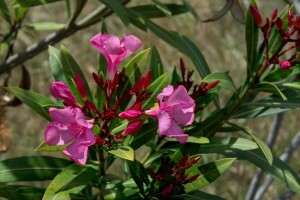 Clusters of flowers are tubular with five lobes and can be red, pink white, cream or yellow. Oleander grows well in warm subtropical regions and is extensively used in the Mediterranean as an ornamental shrub in parks and gardens or informal hedge along roadsides. Fertilisers: not strictly necessary but may increase growth rate and flower production if soil has low nutrient levels.